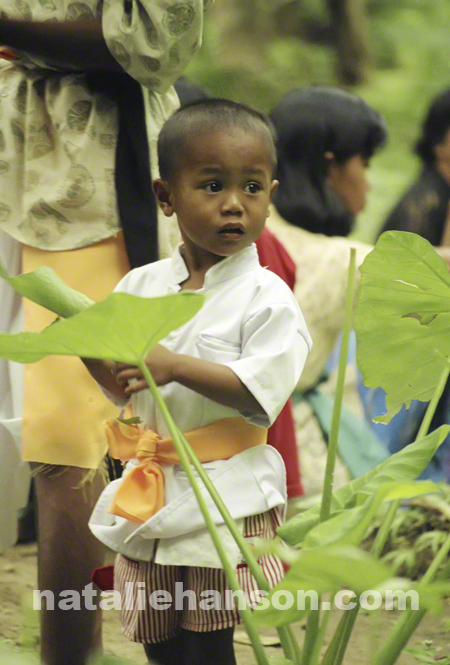 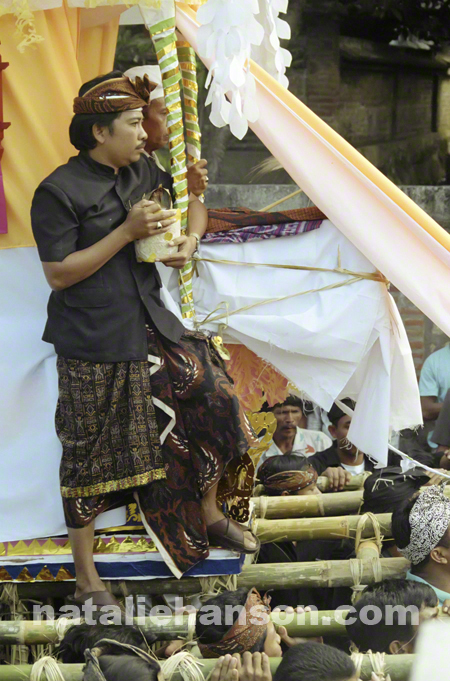 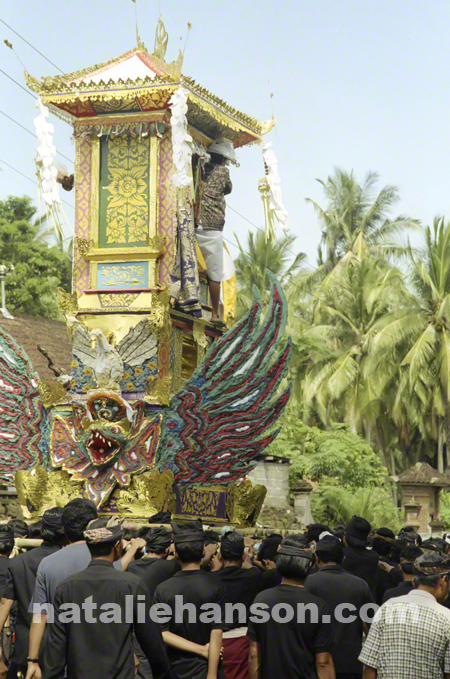 One of the extraordinary parts of my trip to Bali was getting to act a participant-observer in several rites of passage. 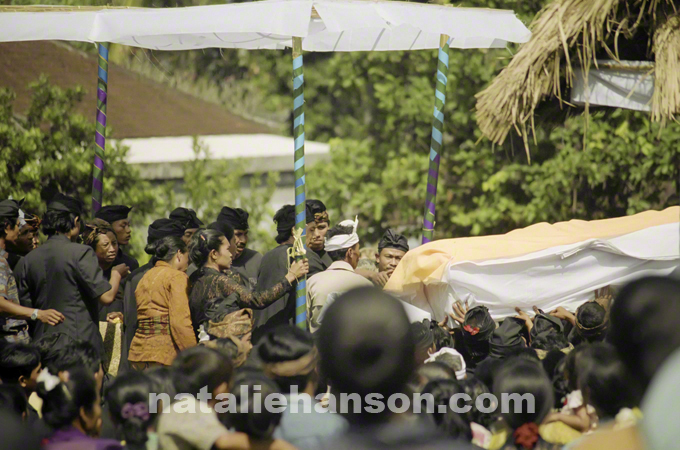 During the 3-4 weeks that I stayed with the family who owned the Anoman Weaving Factory, I participated in funeral preparations and a cremation, as well as the coming-of-age ceremony for a five year old girl. 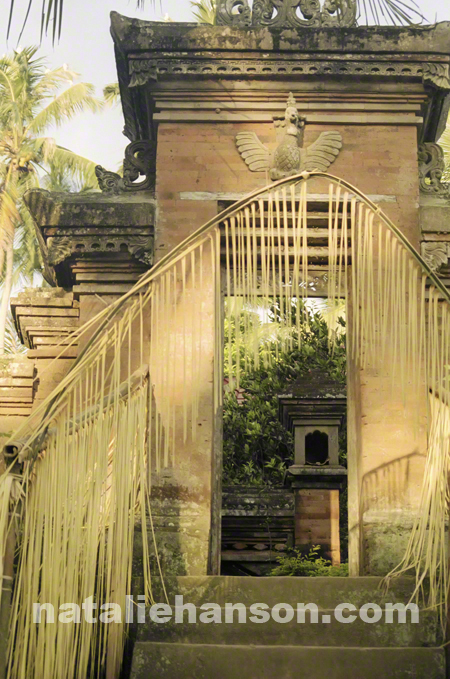 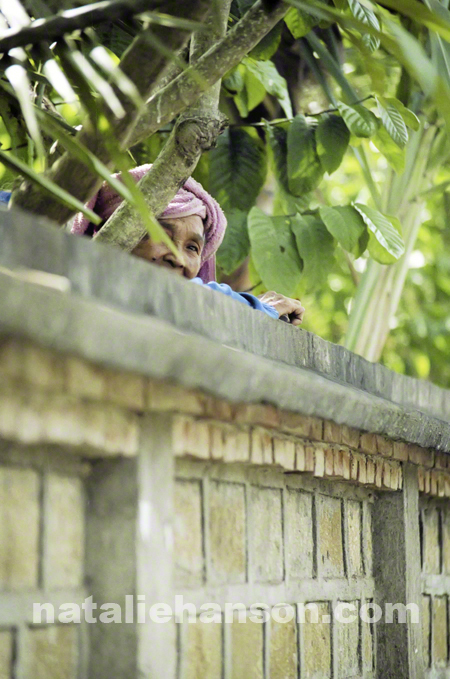 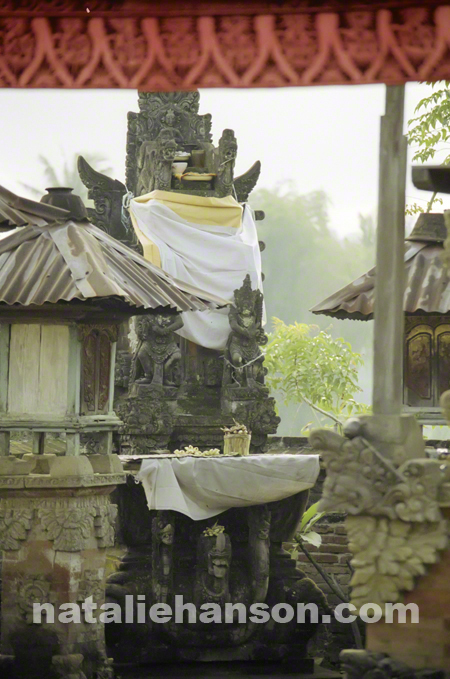 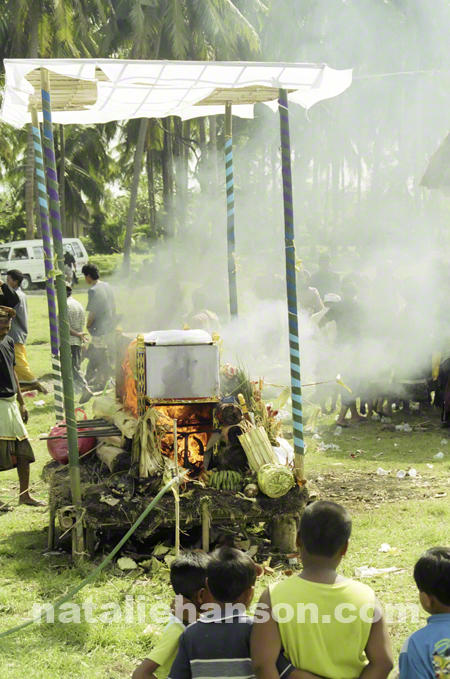 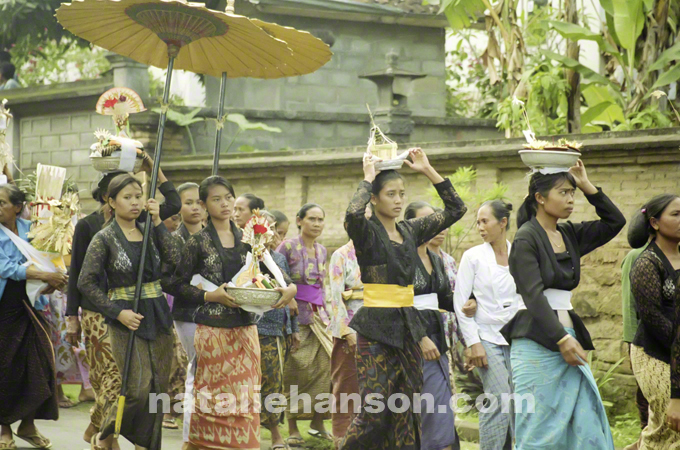 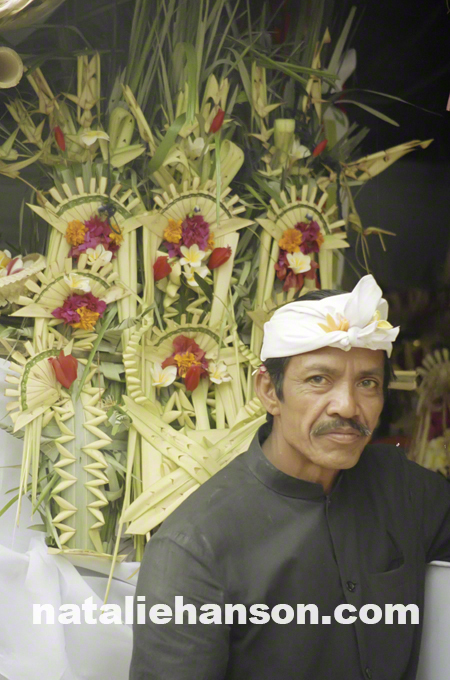 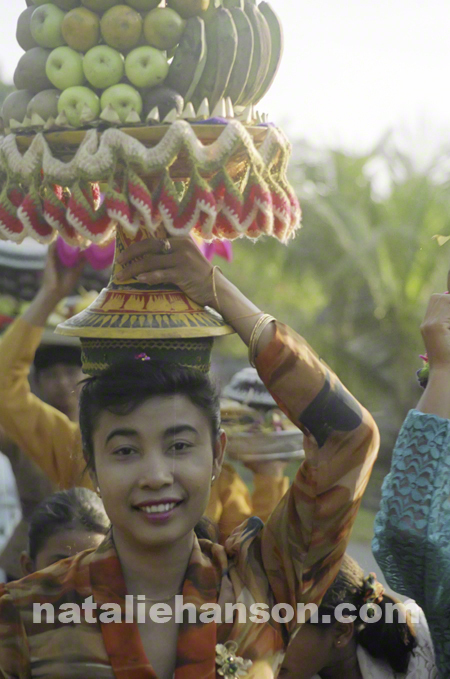 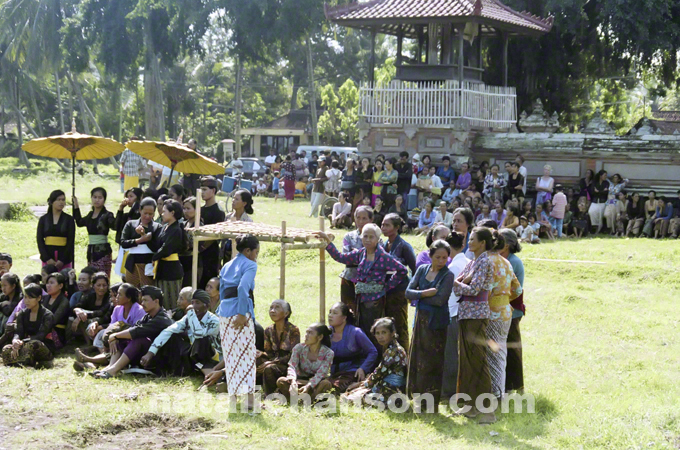 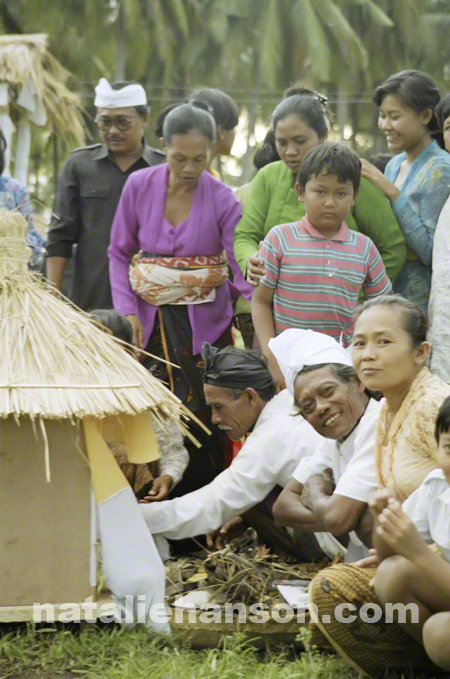 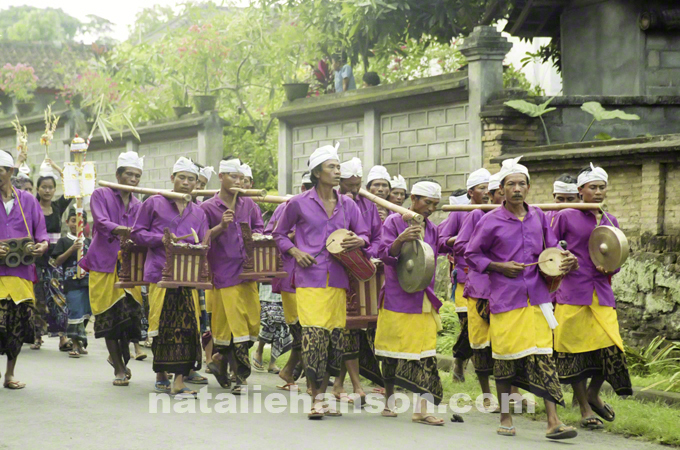 It felt to me like life was filled with religious preparations and significance … one of the many things that marked life in Bali as different in the US.